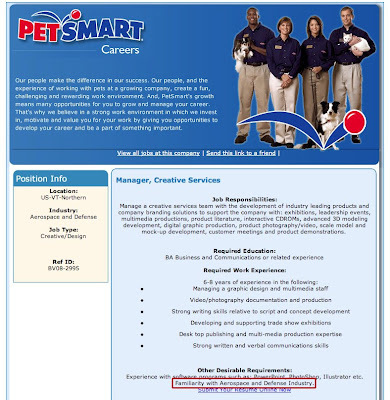 A friend forwarded a nice looking ad for a PetSmart job posting. It all seemed rather standard until the next to last line (highlighted in red below - CLICK TO ENLARGE.) Things that make you go hmmmm. Some summer thinking, about drinking. 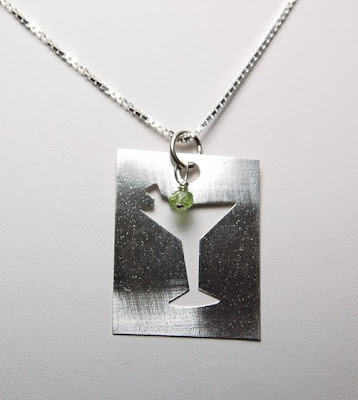 Teeny 'tinis and other and other cocktail specialties. Looking forward to the day when I can shout from my veranda "Mama needs a drink!" and have someone rush out with a margarita. Or seven. Come on lottery, I'm waiting. 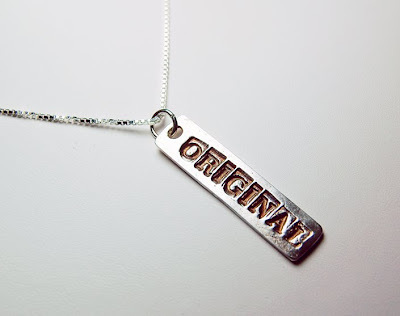 For a student film in Los Angeles in 1990 I bought a pile of used furniture (cheap) and in the drawer was a very old rubber stamp that said "original." I've been carting that stamp around for 18 years and this is the first time I've used it. 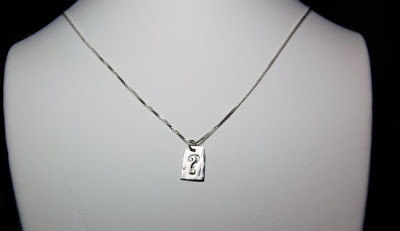 "Original" .999 fine silver necklace on sterling chain. Am very pleased at the moment. 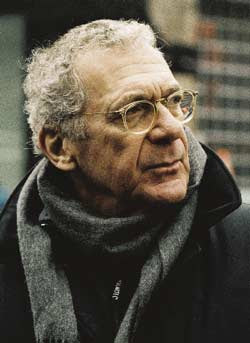 Director/Actor/Producer/Utility player Sydney Pollack passed away today after a relatively short battle with cancer. I was privileged to meet Mr. Pollack in the Dominican Republic on the film Havana in 1990. He was a gentleman with a sense of humor and a major American talent. He will be sorely missed. Fare thee well Mr. Pollack, fare thee well. On this day I will think about those that gave their lives in service to our country. Because there are 364 other days of the year, I will save my commentary on the evils of war for another time. But did you see the recent PBS documentary Buying the War? You should. 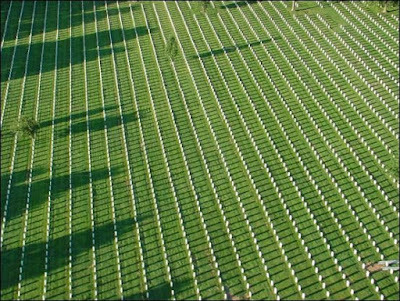 Arlington National Cemetary from above. 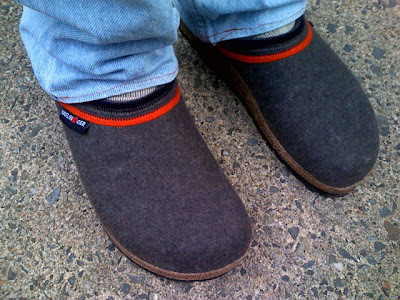 These styling woolen babies were spotted on my husband (of all people) the least hippy-dippy of any prepster you could ever meet. However when your tootsies start to hurt, it's a good idea to slip into something a little supportive, and these Haflingers are filling the bill at the moment. What a crappylicious week. And then Senator Kennedy's diagnosis. OMG. Even non-fans of the Senior Senator from Massachusetts (yes, all caps in that title) are struck that something like this could happen to him. To them. The Kennedys. Again. Oh God. Not again. 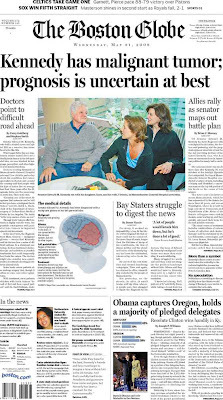 Even the thoroughly unreadable (and generally despicable) Boston Herald controlled it's front page tongue. All I can do is add my prayers too. 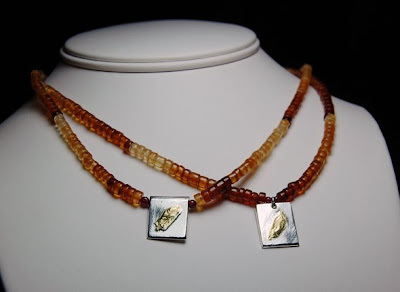 Two more Golden Bean pendants on Hessonite necklaces. Double Question. 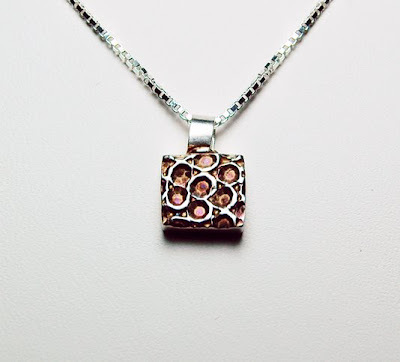 Fine silver pendant with wash of 24K gold on Sterling chain. 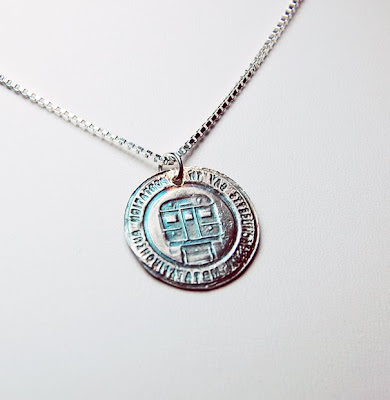 Silver Square. 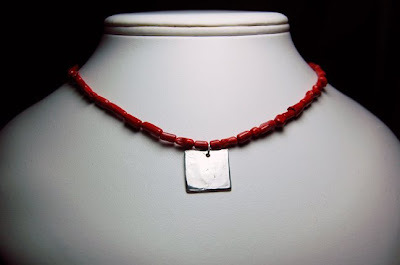 Red Coral necklace with fine silver pendant. 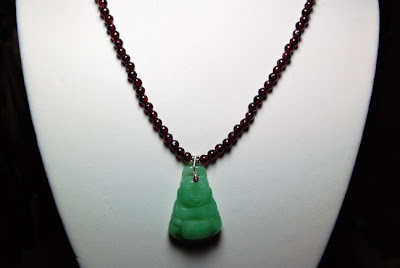 Jade pendant on Garnet necklace. 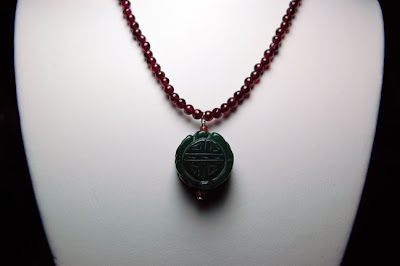 JadeBuddha on Garnet necklace. Shale Construction. 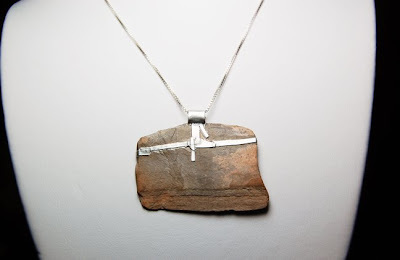 Natural Shale with fine silver construction on Sterling chain. 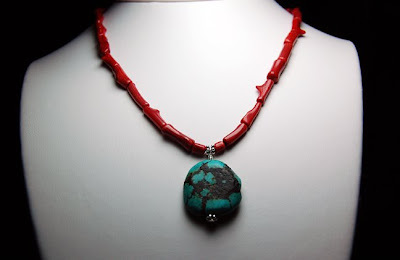 Turquoise pendant on Red Coral necklace. 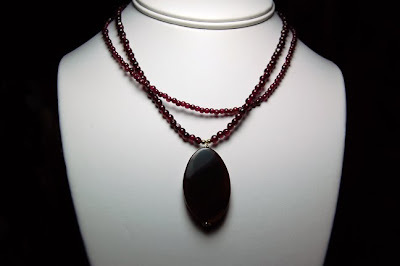 Red Agate oval on two-strand Garnet necklace. Rising Sun. 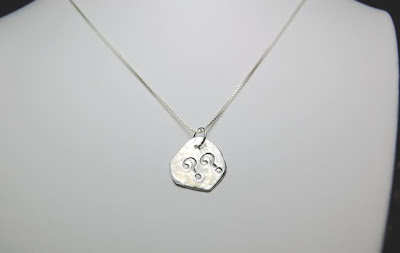 Hollowform fine silver pendant on Sterling chain. Question. 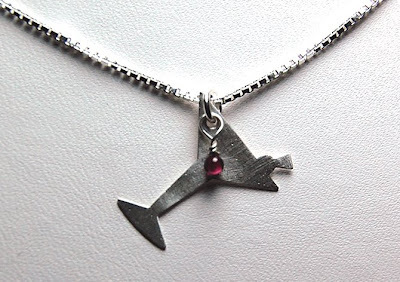 Fine silver pendant on Sterling chain. 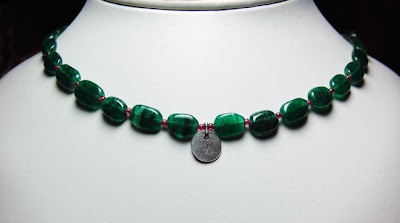 Green Aventurine with Garnets & fine silver pendant. 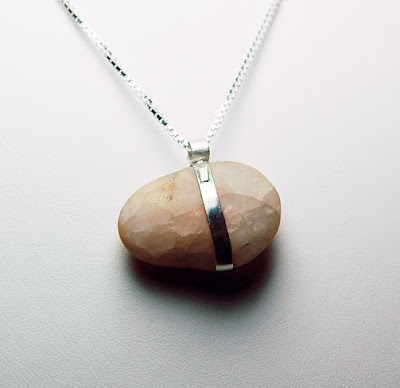 Silver Square 2. 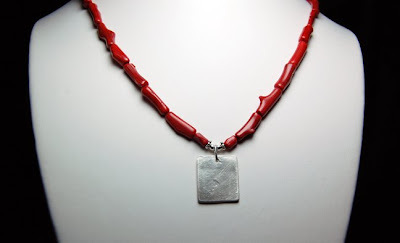 Brushed finish fine silver pendant on Red Coral necklace. Smoky. 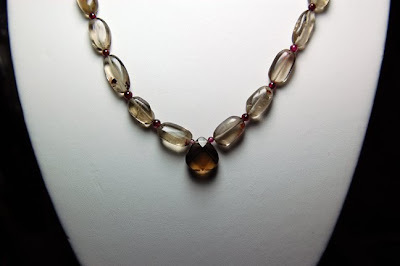 Smoky Quartz necklace with Garnet beads. 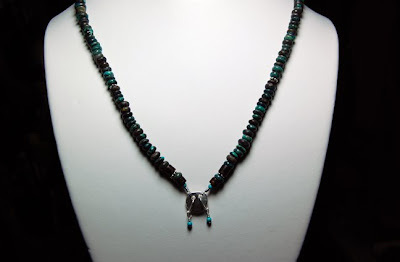 Turquoise rondelles with fine silver pendant and miniature Turquoise beads. 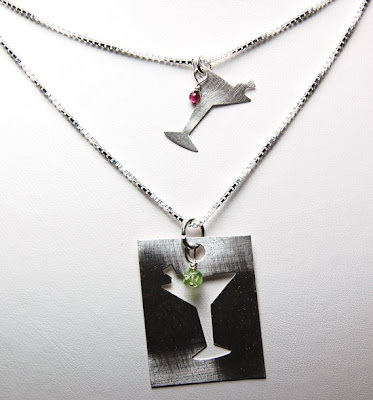 Hammered Lori. 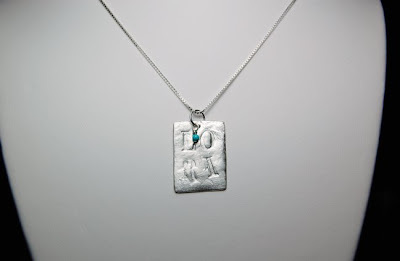 Embossed fine silver pendant with miniature Turquoise bead on Sterling chain. The Age of Conversation, OMG! The first Age of Conversation book started as a crazy idea last year and ended up being written by the top 100 marketing/branding/strategy bloggers (and me!) from all over the world. The network of smart people, many of whom I now count as friends, from the first project is a blessing and provides a wealth of new ideas, insight and information every day. Thanks to the tireless and Herculean efforts of Drew McLellan and Gavin Heaton, the second, and larger version of the book is coming out this year. The process most like managing such an effort can be seen HERE. I selected the topic "A New Brand of Creative" and assembled some thoughts on what being creative in the social media age means. There are some awesomely cool people on this list! Do yourself a favor and randomly click on 3 or 17 or 145 or more. Oh hell, click on all of them! 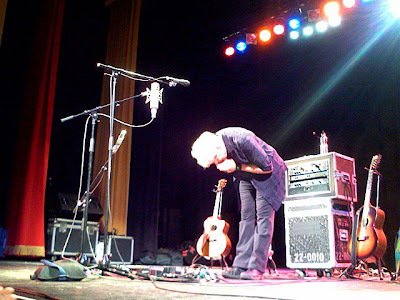 Thank you WUMB (famous for the annual Boston Folk Festival) for a fabulous evening! At 5pm Tommy won tickets (front row - OMG!) 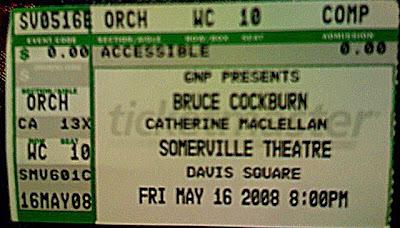 for Bruce Cockburn's show at the Somerville Theater - and while it was a scramble for me to get there, it was totally, utterly worth it. 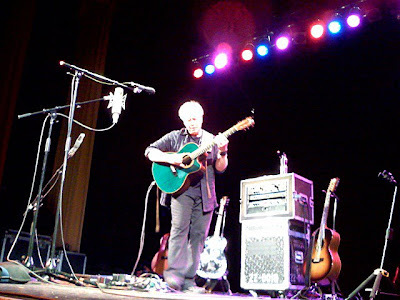 Bruce put on an intimate show in the 900 seat theater and had the audience in his hand the entire time. How nice it was to have a community sing on "Wondering Where the Lions Are" and to have a rowdy bunch calling out song after song after song. Brilliant show Bruce! 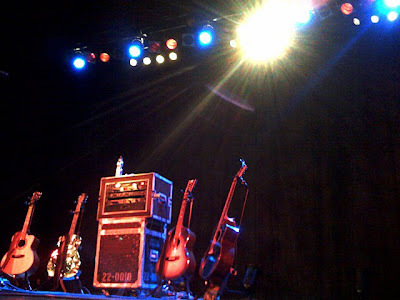 The stage is set for bruce. A gracious artist says thanks. All the excitement in Boston is on Boylston Street. 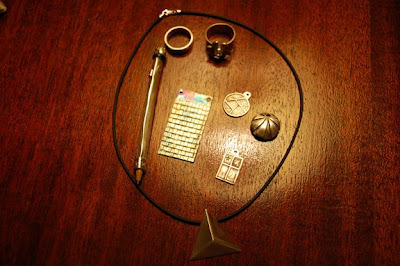 I am in twelve directions right now. Amuse yourself with the thought of the awesomest Apple Store (ever) opening in Boston tomorrow. 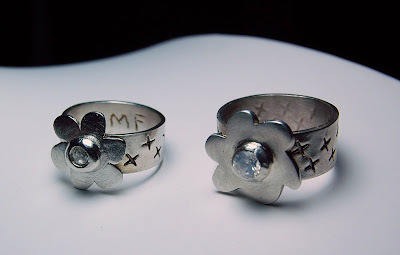 I completed the seven projects required for the certification and spent some time fooling around with different patinas, learned about PMC Gold and Aura 22 and laughed throughout the last three days. 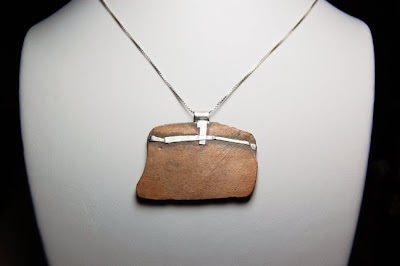 I am rejuvenated in spirit, feeling more passionate about my jewelry-making and just plain happy to have been in the company of artists for three whole days. Thanks everybody! 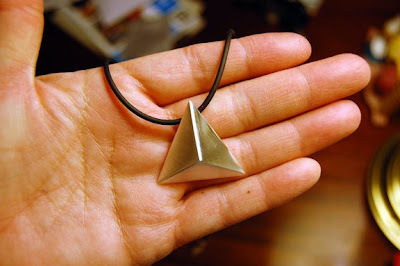 The project I was fearing, the tetrahedron, which turned out to be my favorite. Harold Prenatt: Belmont Hill, originally uploaded by Moda di Magno. 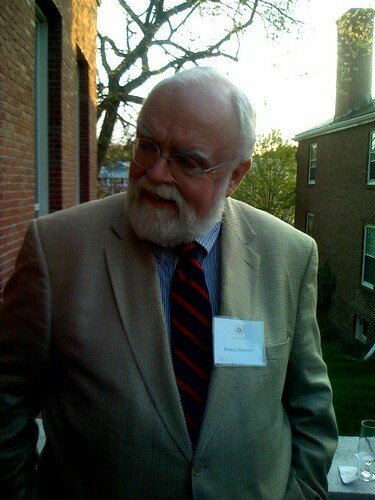 Harold Prenatt attended the Reunion Weekend at Belmont Hill and joined the class of 1973 at their 35th reunion dinner. Somehow, Harold survived. All of the reunion pictures are in their own Flickr set. I have a ton to write about the reunion weekend and my PMC certification class, but at the moment I am exhausted. Utterly exhausted, but exhilarated, and happy and ready for bed. Dan Schley, Burry Gowen & Jon White: Class of 1973, originally uploaded by Moda di Magno. 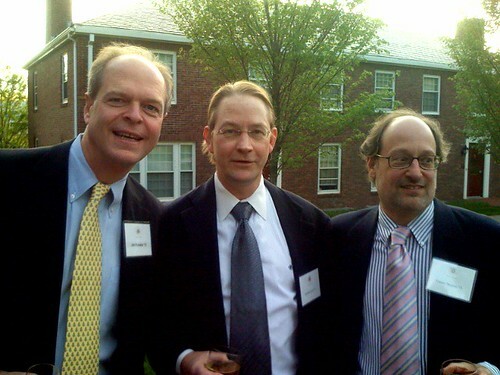 Dan Schley, Burry Gowen & Jon White, Belmont Hill class of 1973. Preppies Forever. Joe, Jim & Tommy: Class of 1973, originally uploaded by Moda di Magno. 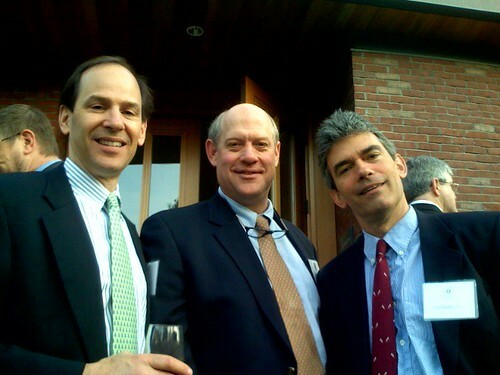 Joe Knowles, Jim McGrath & Tom Magno. Belmont Hill School class of 1973. Happy 35th reunion boys. 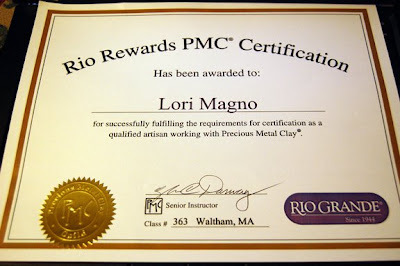 I'm taking a 3-day PMC (precious metal clay) Certification at the Metalwerx Studio in Waltham, MA. 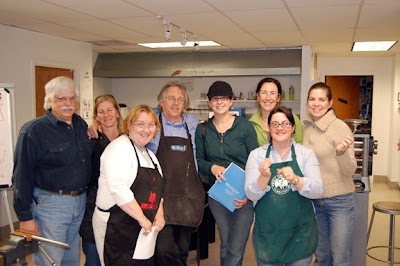 The class is being taught by artist Chris Darway who is awesome and making a tough schedule lively and fun. I'll need to complete 7 specific projects that show an understanding of foundational construction techniques and the qualities of the various products. 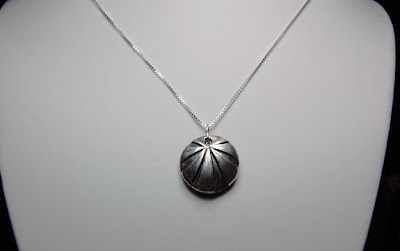 I am so excited to spend three days working with this awesomely cool product - which is 99.9% fine silver, but starts in the form of "clay" (really fine silver particles suspended in binder) that when fired gives you beautiful results. 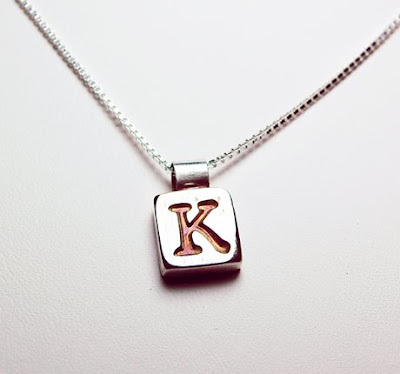 There are many things I can do with this product that I can't with regular sterling silver. Some snaps below, more at Flickr. 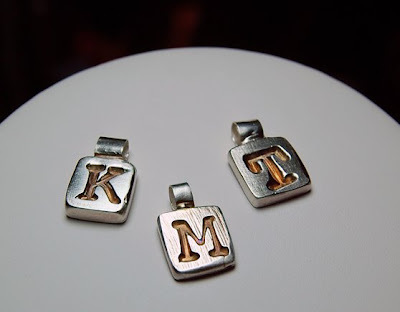 And more tomorrow. Chris Darway mugs for my camera. 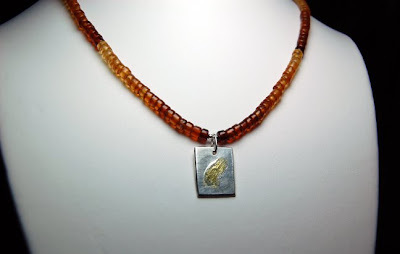 The first project: the hollowform bead. PMC sheet - this product is amazing. The woven project using PMC sheet. 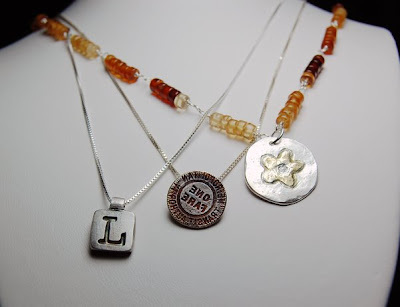 Beads just removed from the kiln. 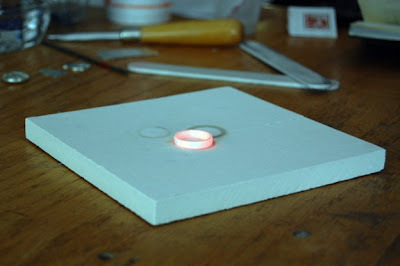 My bead (which I designed to be a pendant) straight from the kiln before being polished. 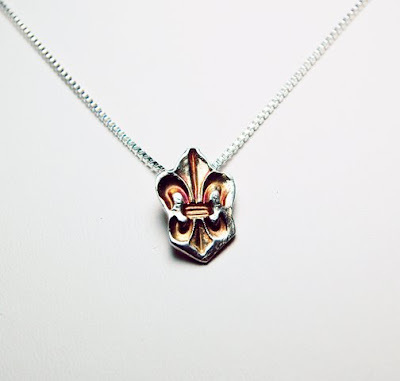 My bead/pendant after a first pass with the brass brush and a little burnishing. 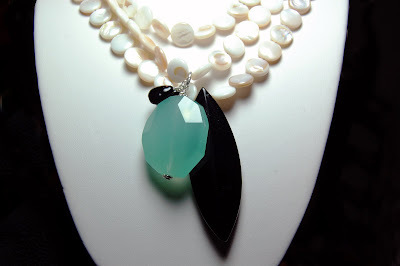 The back of my bead, half polished.